We The Bewdley School are a data controller for the purposes of the General Data Protection Regulation. We collect information from you and may receive information about you from your previous school, Worcestershire County Council, DfE (Department for Education, Police, NHS and other external government agencies. Whilst the majority of student information we are provided with is mandatory, some of it is provided to us on a voluntary basis. In order to comply with the General Data Protection Regulation, we will inform students, parents/carers whether they are required to provide certain student information to us or if they have a choice in this. 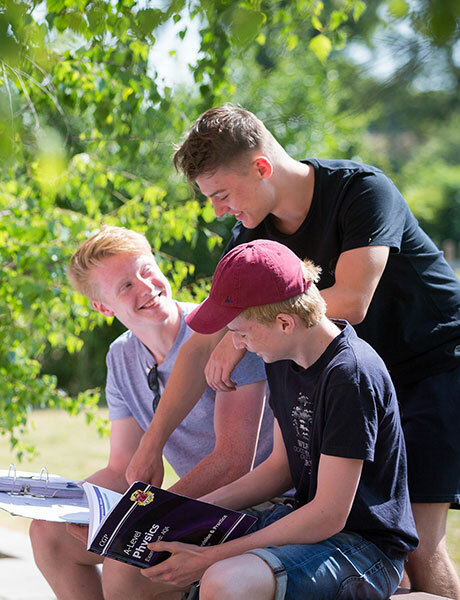 We are required by law to pass some student information to Worcestershire County Council as part of the Intended Destination, September Guarantee and Annual Activity processes. This is to assist Worcestershire County Council fulfil its legal obligation under the Education and Skills Act 2008 and the Apprenticeship, Skills, Children and Learning Act 2009 to assist, encourage and enable young people aged 13-19 (and young adults with learning difficulties or disabilities up to the age of 25) to participate in education or training. Worcestershire County Council are then required to share this information with the Department of Education. • What students are intending to do after Year 11 in terms of education, training or employment (your intended destination). • Which post-16 provider made offers of a place on a course at the end of Year 11 or Year 12 if the student stayed with us after Year 11 (referred to as the September Guarantee). • What students’ destinations are after they leave Year 11 or Year 12 or Year 13, if we are aware of this (as part of the Annual Activity Survey). This could include sixth form at this school. Worcestershire County Council has a legal responsibility to track all young people up to the age of 19 (and young adults with an education healthcare plan up to the age of 25). The purpose of collecting this information is to assist the planning of education and training for young people and the support services they require. Some of this information is then shared with the Department for Education who use the information to plan at a national level. Worcestershire County Council will, if students, parents/carers allow, inform us, The Bewdley School, of students’ current activity once they have left the school. This is in relation to education, training, employment with training you may be undertaking and whether you are NEET (Not in Education, Employment or Training). • Help plan support and education for future students. Students, parents/carers can also visit the Worcestershire County Council website if they need more information about how Worcestershire County Council use and store information. Some of the information we collect from students during Year 10 and 11 and as part of the Intended Destination, September Guarantee and Annual Activity processes may also be shared with EFA funded post-16 providers (hereafter referred to as ‘post-16 providers’) who deliver in Worcestershire and surrounding areas. These providers could offer students a progression route and support their transition into post-16 education, training or employment with training. • Whether they are currently supervised by the Youth Offending Team. Both The Bewdley School and Worcestershire County Council keep information about students, parents/carers on computer systems and also sometimes on paper. We hold student education records securely and retain them from the student’s date of birth until they reach the age of 25, after which they are safely destroyed in a timely manner. There are strict controls on who can see student’s information. We will not share students’ data if they have advised us that they do not want it shared unless it is the only way we can make sure students remain safe and healthy or we are legally required to do so. Network account are deleted when students leave the school, and data is stored for a number of years as per the school’s retention policy. It may sometimes be necessary to transfer personal information overseas. When this is needed information may be transferred to countries or territories around Europe. Any transfers made will be in full compliance with all aspects of the General Data Protection Regulation (GDPR). For students enrolling for post 14 qualifications, the Learning Records Service will give us a student’s unique learner number (ULN) and may also give us details about the student’s learning or qualifications. Students can request that only their name, address and date of birth is passed to their local authority or provider of youth support services by informing us. This right is transferred to the child / student once he/she reaches the age 13. For more information about services for young people, please visit Worcestershire County Council Website. Students have a choice about what information is shared after they turn 13. • No information to be shared with post 16 providers in the future. • the arrangements in place to store and handle the data.